Providing interactive science activities for a secondary class will increase the interest of students who may not fully understand how important science is in the real world. Chemistry, engineering, and forensic sciences will be used in this complex project. Students can learn how to properly perform each of the experiments in this project before the final mystery is revealed for them to solve. 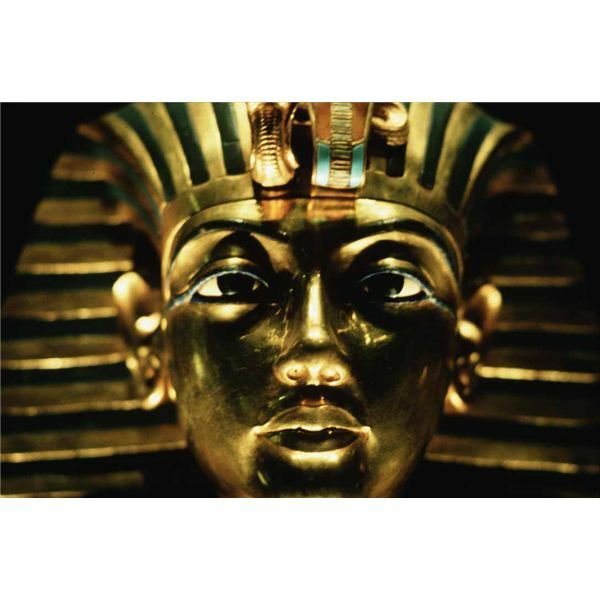 Students will use interactive science activities and experiments in chemistry, engineering, and forensics to solve a locked room mystery and determine who stole the Golden Mask of King Tut. The Mask of Tutankhamen has been stolen from a local museum. The mask was on loan from Egypt and must be recovered to avoid an international uproar. There are several suspects in custody, but as none of them actually have the mask. The police do not know which of them committed this crime. You have been recruited to review the facts, determine who is guilty and find the location of the mask. The mask was kept in a steel room with doors that slide into place on a timer and cannot be unlocked. A single guard sat in a folding chair near the pedestal. As the room is airtight when the door is closed there is a ventilation system that pushes air into the room through a single large vent. The pedestal has a new type of alarm system that sounds if any type of electrical current is detected in or near the entrance of the room. This prevents anyone from using any electronic gadgets inside the room or to try and open the door. The guard was found unconscious with no visible wounds and was rushed to the hospital, but he has not awoken. He did have some nasal cold medication in his pocket, but no other unusual items. Blood was drawn and tested, revealing Halothane. This type of anesthesia can be administered by inhalation. There was a dusting of white powder on and around the pedestal where the mask was displayed. The faceplate on the ventilation system was found on the ground. There were no fingerprints anywhere, but there was a faint footprint in the white powder on the floor and some parallel lines approximately two feet apart. The ventilation system was searched, but as no other evidence was located the mask has not been found. What is the white powder that was found around the pedestal where the mask was kept? What was the white powder used for? Who is wearing a shoe that matches the print left behind? The following experiments will help students answer these questions and allow them to solve the mystery. Test the white powder to determine what it is and hypothesize why it was used. Students will be given a sample of the mysterious white powder and should determine if it is baby powder, cornstarch, salt, or powdered sugar. Since the mask is to heavy to lift and the alarm system prevents the use of electronics the thief had to use a simple machine to lift the mask and move it. Build a scale model of a pulley system that can lift the mask. The model should be built to a 1/10th scale and be able to lift at least 10 pounds. The pulley cannot be attached to the ceiling in the room so a freestanding scaffold will need to be designed and built to support the pulley system. The mask was removed on a small wagon that was able to support the weight of the gold. Students can build a model wagon or platform (2 feet square) on wheels that can hold the weight of a classmate. A photo of the shoeprint left by the thief is presented to the students. This print should actually be taken from one of three different shoes that will be available for students to test. Students will need to make a ‘cast’ of each shoe and compare their results to determine which shoe belongs to the thief. A ‘cast’ can be made from each shoe by spreading a thin layer of sand on a cookie sheet. Gently press the first shoe onto the sand and remove. The ‘cast’ can be compared to the sample from the crime scene. Repeat with each shoe until a match is found. Students should write out the results of their experiments with the answers to the questions asked in the project. Students can also write a story to explain their answers. Students who include a method of explaining how the security guard was drugged should receive extra credit. The following is an example of a solution story. The thief is actually the teen. He noticed the security guard using the nasal medication when he first visited the museum to see the King Tut exhibit. He bought the same medication and added some anesthetic to it. He bumped into the guard, causing him to drop his medication and switched them. He entered the ventilation system through a storage room in the basement. He used baby powder to check for a laser alarm system around the mask. He used a pulley system to lift the mask onto a small wagon and then pushed the wagon out through the ventilation system. He left his footprint in the baby powder. There are also traces of baby powder on the floor of a specific storage room in the basement. He used the pulley to lower the mask out of the ventilation system. He was not able to carry the heavy weight out of the museum so the mask is still in the storage room, hidden inside one of the boxes there. He planned to come back later after the exhibit had left the museum to retrieve the mask. This project can be expanded to include other interactive science experiments for secondary students studying chemistry. Modify the story slightly to add experiments such as fingerprinting, chromatography, and identifying elements (gold). Students can learn each experiment individually and then put them all together to solve the mystery.